Make Your Next Holiday A Cruise Holiday! 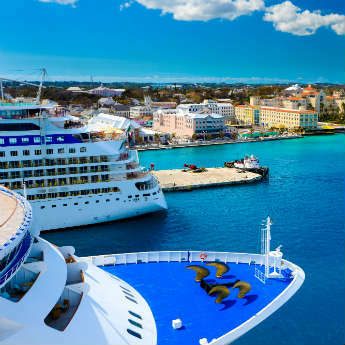 Cruising has been around for years and continues to increase in popularity as an option for holidaymakers to experience more without the hassle or cost of organising their own multi-stop trip. From weekend getaways to long-haul journeys, we’ve put together our top reasons to choose a cruise holiday. Like a floating all-inclusive hotel, cruises tend to cover all costs in the price, including flights, accommodation, food, entertainment and transport between destinations. Expect to bring a little spending money for souvenirs, on-shore excursions and a tipple or two, but cruises are an ideal choice of the budget-minded. In a recent study it was found that Brits spend more time planning a holiday than they spend enjoying the fruits of their labours. Researching the best deals for flights and hotels, things to do, places to eat, how to get around, and getting your finances in order are a time-consuming undertaking. Luckily icelolly.com is on hand to help you compare the very best deals with just a click of a button, and the cruise operators take care of the rest! Plan less, see more; what could be better! Who wouldn’t love to take a month off work to travel? While most of us don’t have the luxury of time, we can still indulge in our wanderlust. 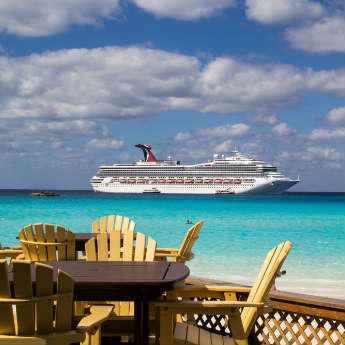 Rather than spend two weeks in Orlando, why not combine a stay in Orlando with a cruise around the Caribbean islands? Or a city break to Barcelona with a discovery tour of the western Mediterranean? They say the journey is more important than the destination, and when time is a premium, it’s truly the journey that matters. Rather than spend it sedentary on planes, trains or automobiles, on a cruise you have infinite options as you’re counting the hours from one stop to another: swimming, shopping, rock climbing, enjoying the view, seeing a show, recreating ‘Titanic’ by standing on the bow shouting “I’m king of the world”…the list goes on! Some places on people’s bucket list are a little hard to reach, out of the way, or just a bit daunting to visit on your own. Language barriers, a country’s customs and not to mention dubious thoroughfares can be difficult to navigate without someone in the know. A cruise is an ideal way to experience these destinations in a group on one of the ship’s tours with the expertise of a professional guide. As any traveller will tell you, there are definite advantages and disadvantages of living out of a suitcase. Advantage: the very act of doing so means you’re on an exciting trail of adventure. Disadvantages: bags are heavy- especially when you have to carry your own- you always forget about the clothes buried at the bottom, and when they are revived they’re far too creased to even contemplate wearing. Guess where you can travel to multi-destinations and only unpack once, and into a wardrobe? A cruise! It can be hard catering for everyone’s tastes when your travelling party comes in all ages but a cruise makes it incredibly easy to keep everyone happy. If your toddler is itching to meet new friends at the kids club, your teenager is wanting to canon ball in the pool, your parents fancy a gin and tonic in the shade, and you want to top up your tan, you’ve got everything you need right there. There’s a reason why Hollywood is enamoured with sweethearts sailing off into the horizon as the sun sets. It may be a hopeless cliché but there’s something endearingly romantic about the endless vistas of the ocean, the wind in your hair and your other half at your side. With so much to do and see, there’s no chance of getting itchy feet while ogling each other over a cocktail umbrella. Cruising is not a case of ‘one size fits all’. If the idea of enormous white ships doesn’t float your boat, there are plenty of options that just might. 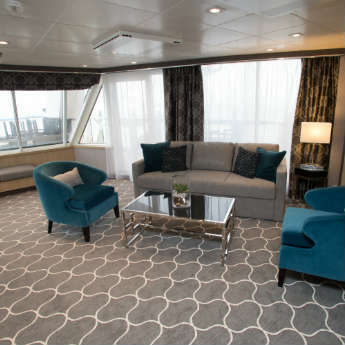 From mega-ships more akin to floating cities complete with climbing walls, surf simulators and on-board theatres to smaller ‘no-frills’ ships for navigating the narrow waterways of the Norwegian fjords, you’ll find something to give you the experience you’re looking for. A cruise can be a very social travel experience. If you prefer to be one with the sea, you’ll find your perfect solitude but if you enjoy more interaction than just a genial head-nod to a fellow holiday-maker, a cruise experience can offer just that. Meet people from all over the world at your dinner table, by the pool, in the spa or at the bar, and kids can find playmates in the range of youth activities available.